My son had never seen a watermelon with actual black seeds. He had never seen one so big. At the grocery store a kid came up to the cart and said “Wow, that’s a BIG watermelon! 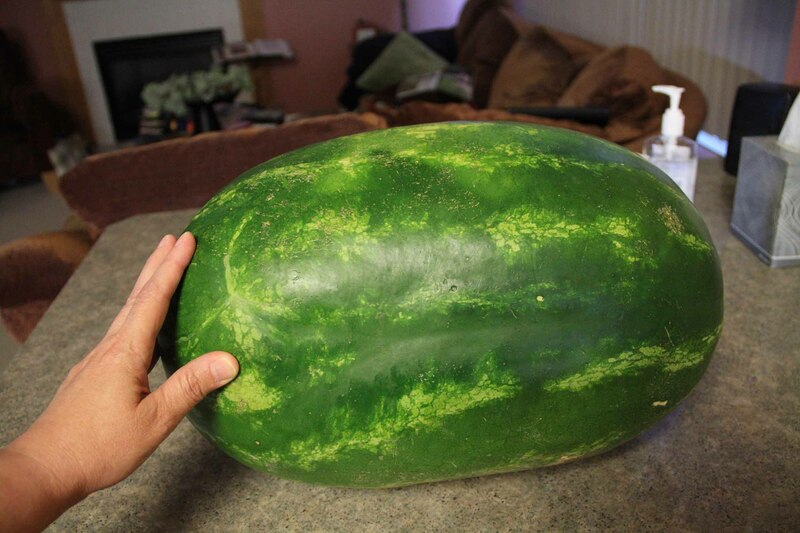 !” No one under 10 has seen the shape of a real watermelon. 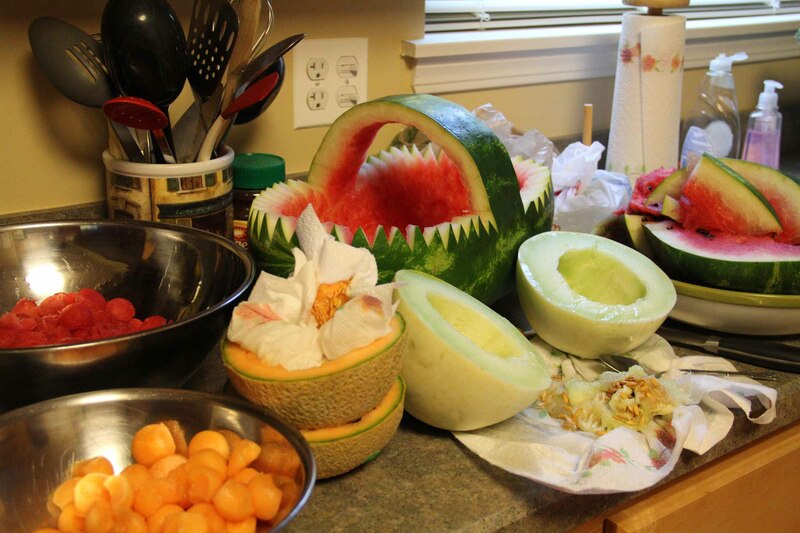 These days, everyone likes a nice round basketball sized melon with no seeds. When I asked the guy at the grocery store for an oval watermelon he said , “I don’t think they make them that way any more.” Yes he really said that. Was I sure I didn’t want this nice seedless round one, or this new “golden watermelon”? I did not. I found a real one. So here’s my watermelon. In pictures. I haven’t made one of these in 20 years. Vintage watermelon. I could barely lift it. But a nice oval shape. Now I remember why I haven’t made this in 20 years. Quite a mess. Finished fruit salad. A thing of beauty. And mighty tasty too. If you’re still playing along, here’s your watermelon movie clip. 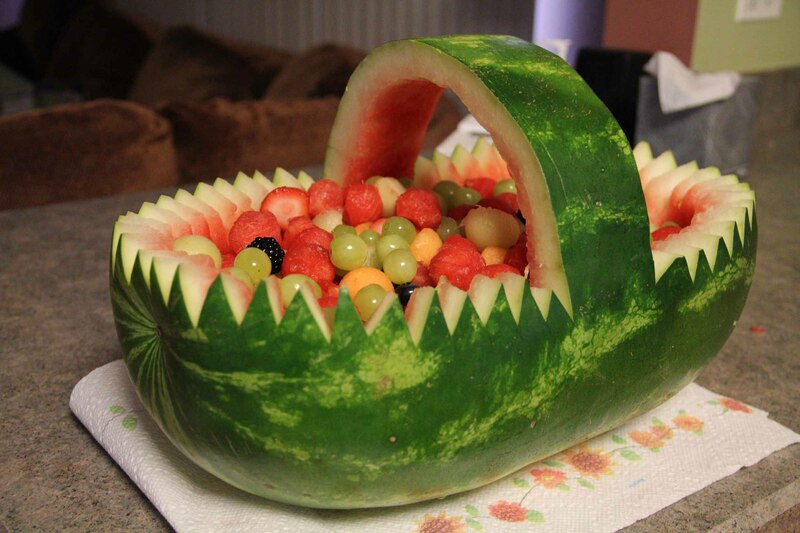 This entry was posted in Creativity, midwest and tagged watermelon by edges. Bookmark the permalink.